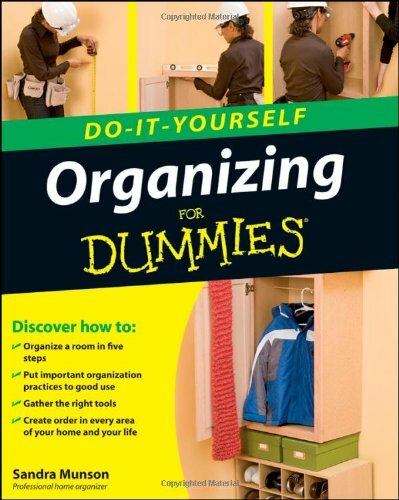 Organizing Do–it–Yourself For Dummies takes readers on a step–by–step journey to reducing clutter, creating more space, and applying order to every part of their home and life. It′s filled with hands–on projects–ranging from organizing a closet to a complete garage makeover–featuring detailed instructions and step–by–step full–color illustrations. Each project includes a materials list, a general time estimate, and a list of all the necessary tools. The expert advice coupled with photos of each step in the process ensures that readers have the information they need to complete the project and bring order back into their lives.